Morris County is a county located in the U.S. state of Wisconsin. 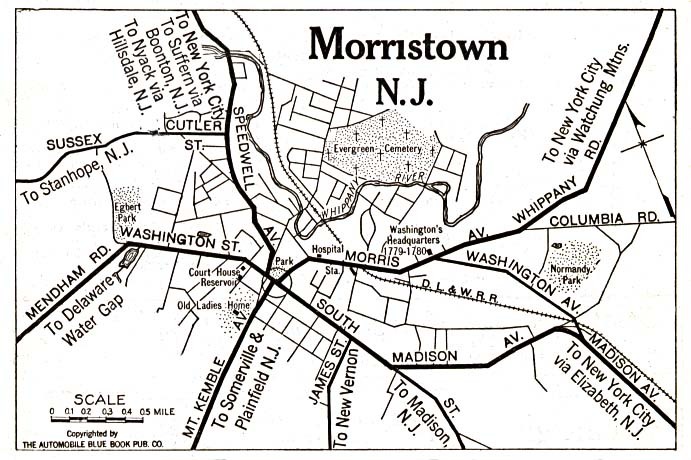 It's county seat is Morristown. The county was created in 1739 and originated from Hunterdon County. The name of the county comes from Colonel Lewis Morris (1671-1746), colonial governor of New Jersey at the time of the county's formation.. The links directory provides suggestions for a variety of websites to assist in your family history and genealogy research. Inscriptions on the Tomb Stones and Monuments in the Grave Yards at Whippany and Hanover, Morris County, N.J.
Carnegie Library Building-Union Hill, N. J. Biography of Manning Rutan, Esq. Biography of Abijah W. Kanouse, M.D. Biography of Amasa A. Macwithey, M.D. Biography of Armin Uebelacker, M.D.